Elena Miguel Poza has been named the Chairperson of the Principles in Operative Fracture Management for ORP AO Trauma Course. 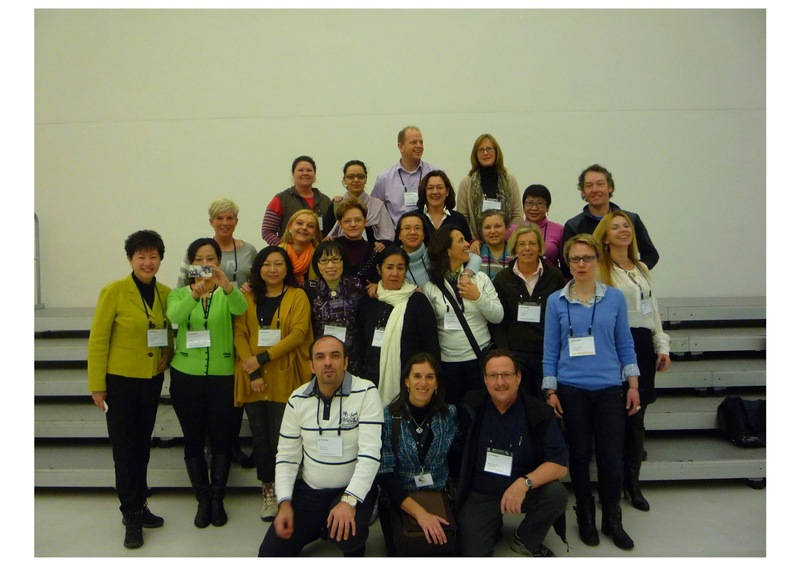 This course will be held on 26-27 February 2014 in Madrid. The goal of this course is to teach perioperative handlings related to fundamental principles and latest techniques in the treatment of operative fracture management. This course is targeted at operating room personnel in surgical practice in trauma and orthopaedic surgery, particularly those who have just started their professional career. It also addresses those who are interested in deepening their current knowledge and skills. The course will provide several evidence-based lectures, which cover the key information required. In practical exercises, participants will be trained in the application of fixation techniques and familiarization with the instrumentation. And discussions in small groups help participants to understand the decision-making process in fracture management and the importance of appropriate nursing preparations. The AO Trauma ORP Course will be organized together with the Principles Course for surgeons and participants of both courses will use the same rooms and material in practical exercises and they will also share the same discussion group rooms. Currently Elena Miguel is working together with surgeon course chairpersons to agree on the timing for practical exercises and discussion groups. 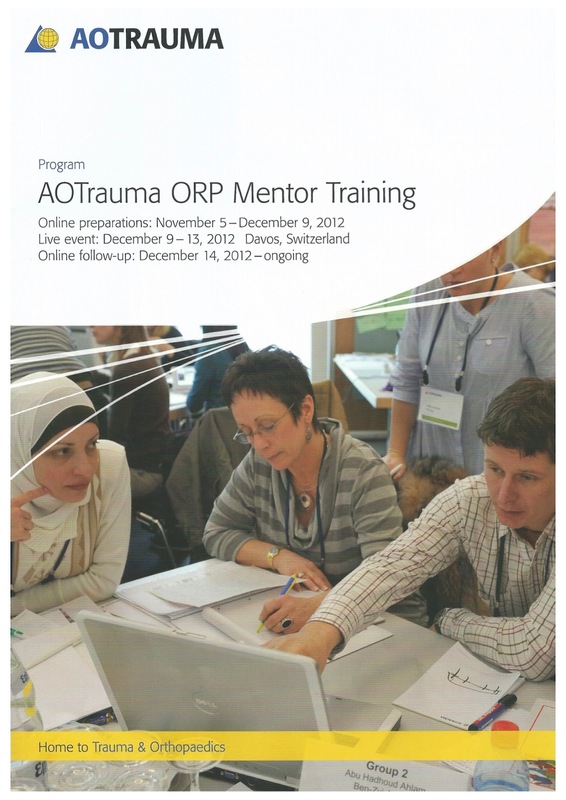 Elena Miguel took part in the AO Trauma Operating Room Personnel (ORP) Mentor Training organized in Davos in December of 2012 by AO Trauma ORP Committee. The outcomes of the program were designed to improve the teaching skills, knowledge and expertise of ORP team mentors of different countries of the world. Elena Miguel is AO Trauma ORP Mentor in Spain. The language of the course was English. Through that online platform, Elena Miguel got to know others participants, establishing trust, sharing interests and communicating and interacting openly. She had to pass several test about the different topics. 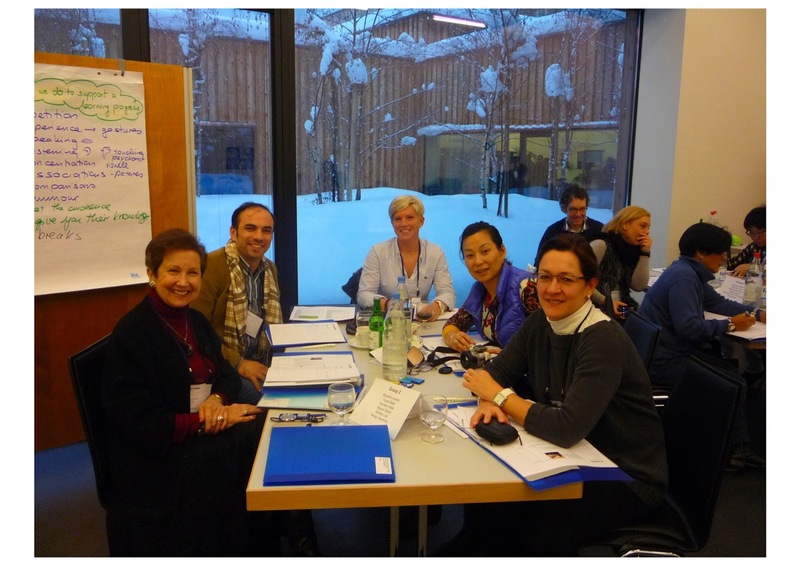 The live event was in Davos, Switzerland, from 9th to 13th December of 2012. The participants were 24 Mentors of different countries from Asia, Australia, Europe, South and North America and Saudi Arabia and United Arab Emirates. During these days, Elena learnt how to improve the ORP courses in Spain using some tools like: Pre-course, Reflection, Feedback, etc. All these things are very useful for participant and also for the faculties. She had to give a presentation (a lecture), to lead a discussion group and participate in a practical exercise as instructor. For all these, she had to work with her classmates and after each activity they did feedback. In this course, AO Trauma ORP Program Development was introduced with a specific program for all ORP Courses of the world. After the course, Elena followed up online with the training valuation. This course was a great experience for Elena. She could hear and share different experiences from their Hospitals, AO ORP courses and countries. And all of them could decide what they wanted to change or improve in their surroundings.